Ideal for small & medium business, school, colleges, NGO etc. Need a website ? Why buy domain, web hosting and email Separately buy website in a box Choose from one of ultimate combos we call website package that comes with free domain, unlimited web space and the very important maintenance and support. You can update content yourself or send us for the updation. The website packages comes with different features, you need to choose one that suits best to your organisation. You can compare our website packages or you can consult our web solution expert to get help selecting best website package for your requirement. Choose from datacenters at INDIA, Singapore, Germany, USA and UK. *All prices are excluding of 1st year development, standard design and setup fee minimum INR 6000 for dynamic website package, depends on the design & customisation needs of the project which will be evaluated by our team. Applicable taxes extra as per law. ** Website Package Price and features modified on date 1st of August any website package bought prior or after would be affected by the change for more details read blog post. Advantages of Our Website Package? 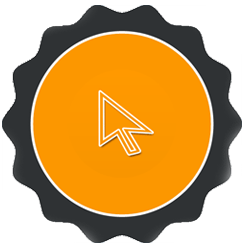 Website packages gives you longterm price protection hassle free management of your website so that you focus on your business and your website is managed and run by one of our website Package. How to get hassle Free Website Service in Patna? Our website packages would give you peace of mind as we manage your website and offer you complete services in a box. 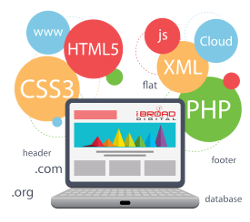 Complete Website Service in Patna. Get complete set of website services from design , development web hosting and technical support which comes with website security, monitoring and more. Website Maintenence Service in Patna. All the website packages comes with maintenence which includes Website Security, Website Monitoring, Backup Services & technical support via email. Maintenence dosn't include CONTENT update support use CMS panel to change content in your website. How to update Content in Dynamic Website? Use your CMS/ Content management System admin login than follow instructions from PDF guide provided to add/update content in your Website Package.